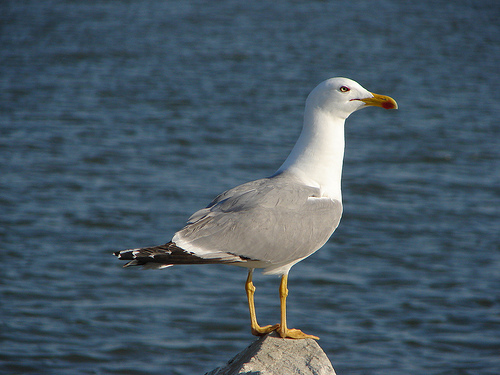 The Yellow-legged Gull resembles the Herring Gull, but differs in the colour of the legs. 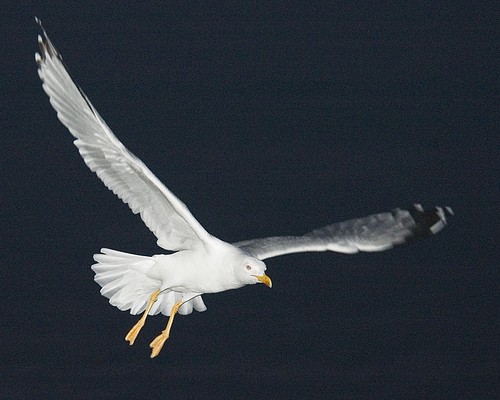 It has long been thought that it is a subspecies, but the Yellow-legged Gull is now considered a separate species. The Yellow-legged Gull has yellowish-green legs, those of the Herring Gull are pink.